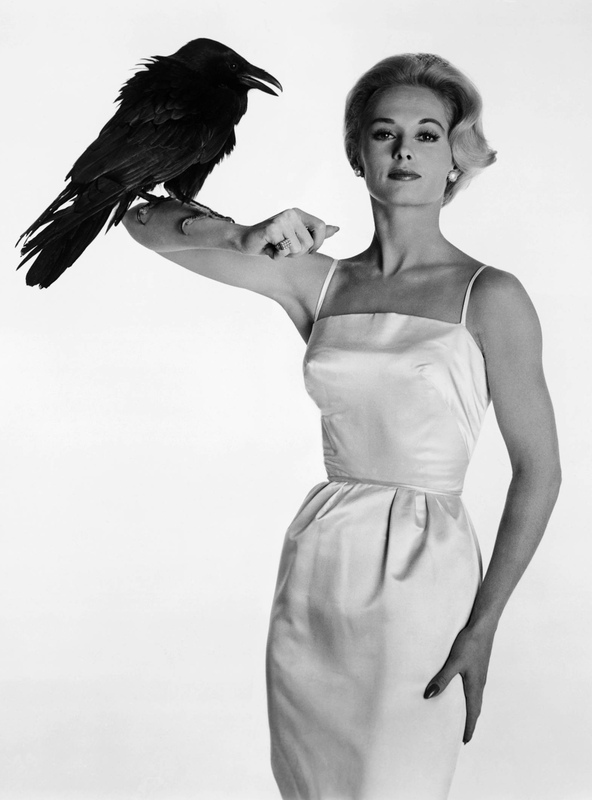 SCVHistory.com LW2777 | Film/Arts | Tippi Hedren, Actress & Acton Resident, 1985. 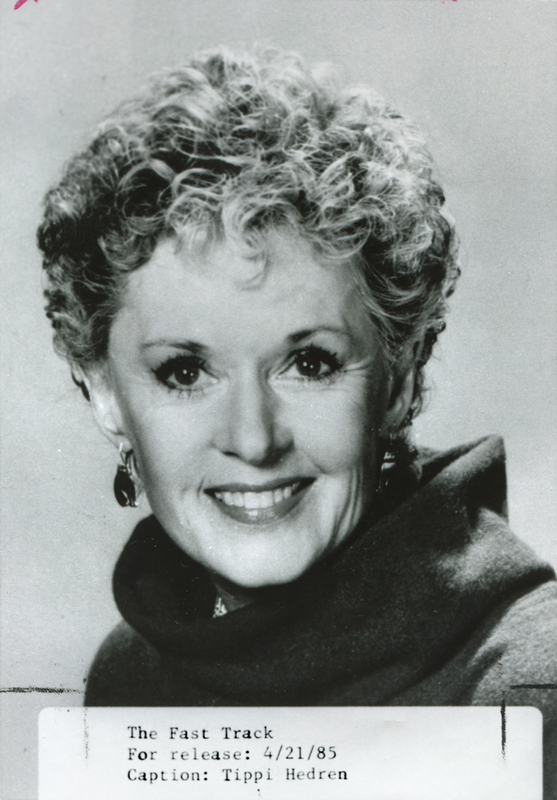 Tippi Hedren, 5x7 publicity photo, for release 4-21-1985. From the archive of The Baltimore Sun, which published this photo May 12, 1985, and again on Aug. 17, 1990. We don't know the meaning of "The Fast Track." In 1985, Tippi appeared in an episode of "Alfred Hitchcock Presents," but that wasn't the title. 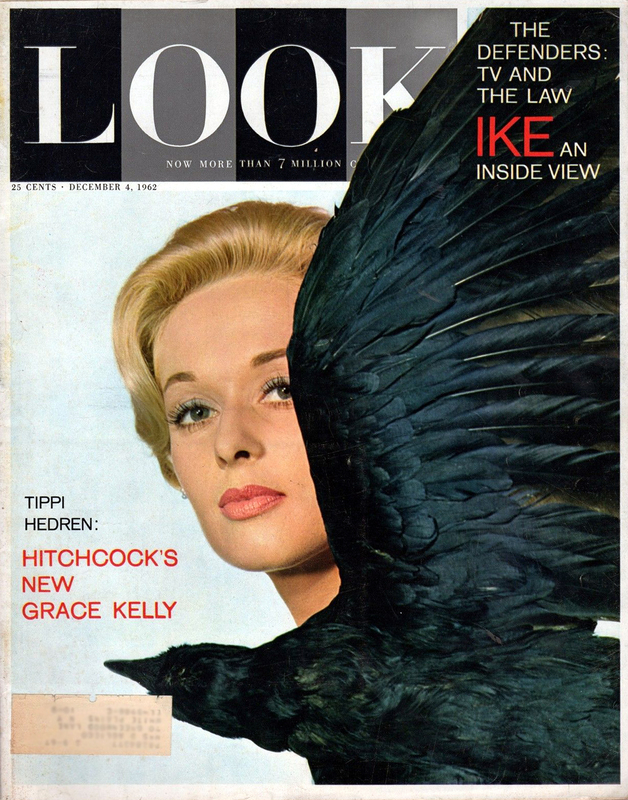 A Minnesota girl, Nathalie Kay "Tippi" Hedren was born Jan. 19, 1930, in New Ulm, grew up in Minneapolis and had a successful modeling career (including a Life magazine cover) before director Alfred Hitchcock "discovered" her while watching a TV commercial. After starring in Hitchcock's "The Birds" (1963) and "Marnie" (1964), Hedren refused to do any more work for Hitchcock, who retaliated by keeping her under contract for two more years — essentially paying her not to work. Hitchcock traded her to Universal in time for her to play the role of Marlon Brando's estranged wife in Charles Chaplin's final film, "A Countess from Hong Kong" (1967). Two years later she was in Africa for the filming of "Satan's Harvest" (1969) with George Montgomery and "Mister Kingstreet's War" (1971) with John Saxon and Rossano Brazzi. While there, Hedren and then-husband Noel Marshall watched a pride of lions move into a house after a caretaker moved out. It made an impression. Back home, Marshall wrote a script for a film centered around the experience, to be called "Roar." Production was fraught with problems from the beginning. Hedren attempted to rent Hollywood animals but nobody would rent her 20 or 30 lions because of their natural tendency to fight. So she and daughter Melanie Griffith started rounding up rescues. They brought their first, 7-month-old rescue home to Los Angeles but it couldn't stay there, so Hedren brought it to Ralph Helfer, an animal behaviorist who had a 600-acre training compound for Hollywood animals called Africa U.S.A. on Soledad Canyon Road between Canyon Country and Acton. In 1972, when Helfer bought Marine World out of bankruptcy and established Marine World/Africa U.S.A. in Vallejo (later called Six Flags Discovery Kingdom), he sold his original Africa U.S.A. to Hedren, who gathered more rescues and planted trees and foiliage for large felines, elephants and giraffes. Daughter Melanie Griffith was mauled during the making of "Roar." Filming finally started in 1974. 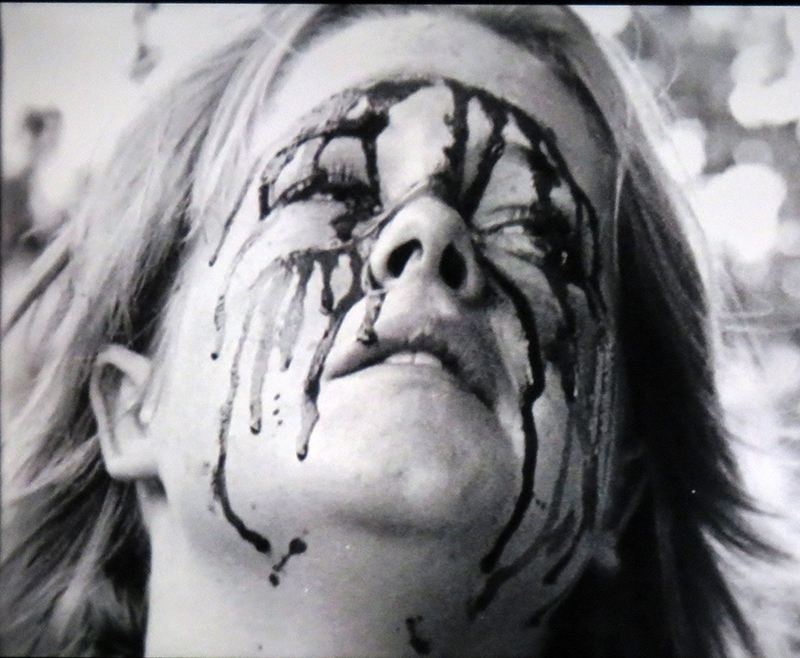 During production, members of the cast and crew were mauled, including daughter and co-star Melanie, who was slashed across the face — although Hedren suggests the maulings were horseplay (lion play?) that got out of hand, and the wounds were not life-threatening. 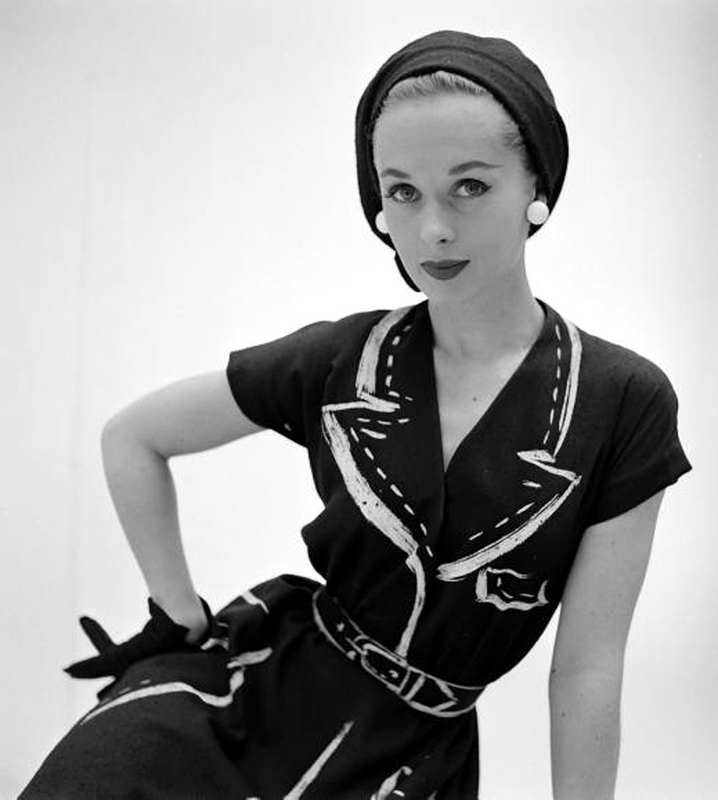 Hedren, however, was severely bitten in the back of the head by a lion and gashed in the arm by a leopard. She once remarked that it was amazing nobody got killed on the set. Then came a big flood in 1978 that washed away the movie sets and killed three of the lions including the alpha male, Robbie. The project was set back several years. By the time the film was completed and released in Australia in 1981, it had been more than a decade since conception, and five years of actual production at a cost of $17 million. Hedren and Marshall split in 1982. Hedren kept rescuing big cats; in 1983 she renamed Africa U.S.A. "Shambala" and formed the 501c3 nonprofit Roar Foundation for big cat care and research. Since that time, Hedren, who lives in a "safari"-style house on the property, has devoted her energies to fighting the private ownership and abuse of exotic animals. 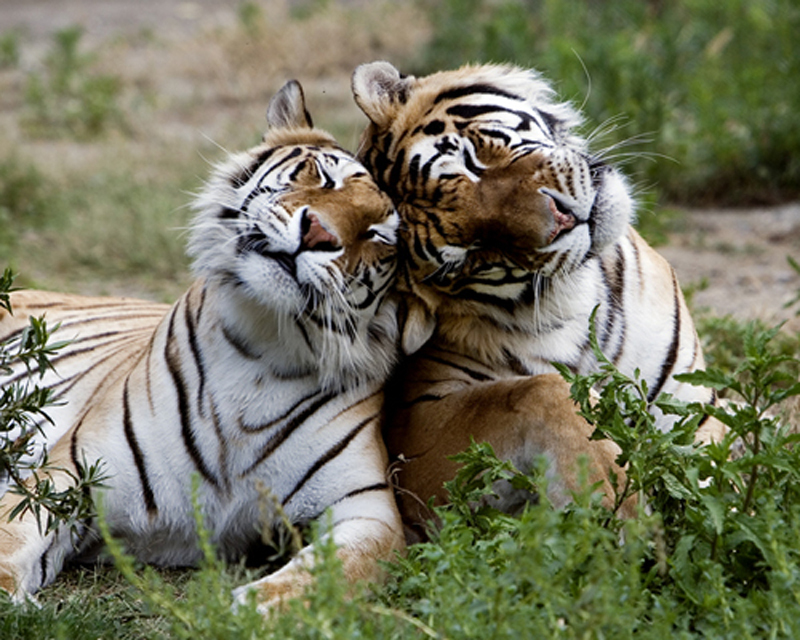 Most of Shambala's feline residents — African lions, Siberian and Bengal tigers, leopards, servals, mountain lions, bobcats, a lynx, a Florida panther and a liger (cross between a male lion and a tigress) — were rescues that were born in captivity for use as pets or circus animals or given up by zoos. When Michael Jackson closed down his Neverland Ranch in Los Olivos, his two Bengal tigers, Thriller and Sabu, went to Shambala. 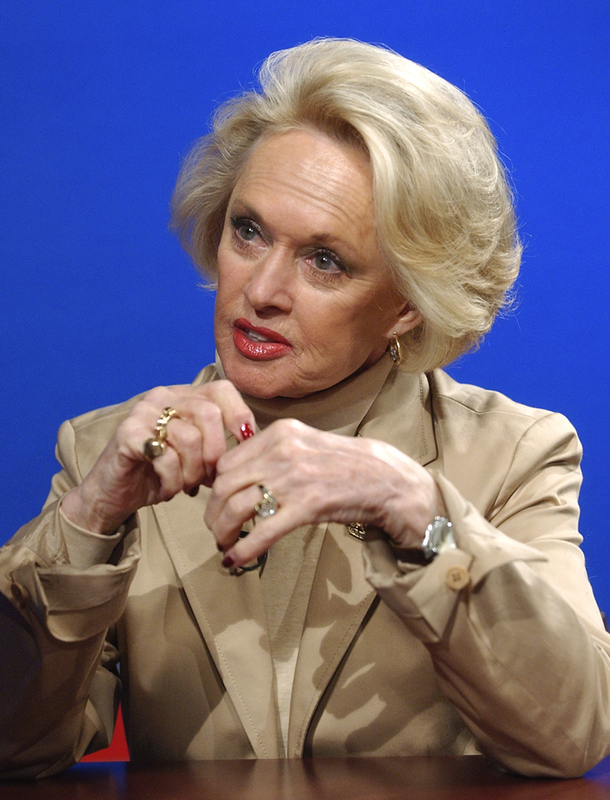 From 1950 to 2013, Hedren has appeared in more than 80 different television series and feature films. In 2012 HBO released a British television film based on her strained relationship with Hitchcock called "The Girl," with Sienna Miller as Hedren and Toby Jones as Hitchcock. Hedren won a Golden Globe award for "The Birds" (Most Promising Newcomer-Female) and was inducted into the Hollywood Walk of Fame on Jan. 30, 2003 (Motion Picture). Her star is located at 7060 Hollywood Blvd. Most of the information about the making of "Roar" comes from an "SCV Newsmaker of the Week" interview taped March 1, 2005. Helfer, of Chicago, had established a 1,500-acre Hollywood animal compound which he called Nature's Haven near Vasquez Rocks in 1955. In 1962 the property was cut in half by the Antelope Valley Freeway and he moved his operation to Soledad Canyon. 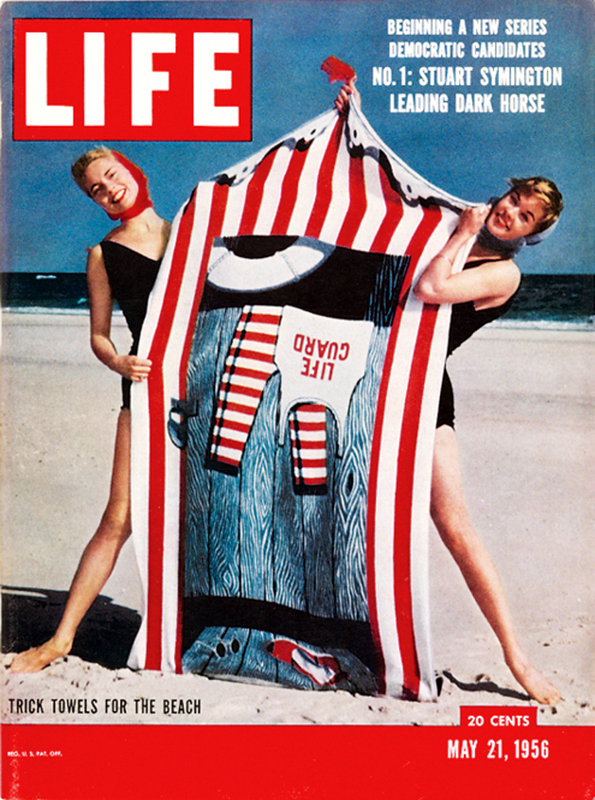 An earlier flood in 1969 had similar effect; Helfer reportedly lost 20 of his 1,500 animals. Camille Paglia, Professor of Humanities at the University of the Arts in Philadelphia and author of several acclaimed books about women in film, and The Birds (BFI Publishing, 1998), a critical analysis of the film, wrote, "It's so unfair that Tippi Hedren has never had the credit she deserves for the two films she did with Hitchcock. I think the reason critics did not take her seriously is because she is too fashionable and therefore not 'serious.' The interplay between Hedren and [Suzanne] Pleshette in The Birds tells me more about women than any number of articles on feminist theory. Hitchcock captures the subtleties of females warring with each other; all those nuances of knives and guns conducted in looks and body language. He sculpts the human body in space. And I love the way Hedren handles cigarettes and a martini glass with such remarkable sophistication. It is gesturalism raised to the level of choreography." Perhaps Tippi Hedren's most unique endeavor is being "den mother" and close friend to sixty-odd big cats — lion, tiger, leopard, cougar, and serval at The Roar Foundation's Shambala Preserve near Acton, California. LW2777: 19200 dpi jpeg from original 5x7 print purchased 2015 by Leon Worden.